An estimated 50 million Americans suffer from some form of autoimmune disease. If you’re among them, you may know all too well how little modern medicine can do to alleviate your condition. But that’s no reason to give up hope. 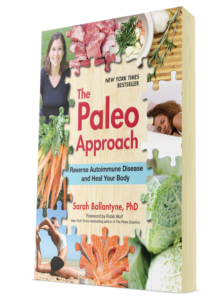 In this groundbreaking book, The Paleo Approach, Sarah D. Ballantyne, Ph.D., draws upon current medical research and her own battle with an autoimmune disorder to show how you can become completely symptom-free-the natural way. The Paleo Approach is the first book ever to show you how to adapt the Paleo diet and lifestyle to bring about a full recovery. Read it to learn why foods marketed as “healthy” – such as whole grains, soy, and low-fat dairy-can contribute to the development of autoimmune conditions. Discover what you can eat to calm your immune system, resolve inflammation, and help your body heal itself. Learn which simple lifestyle change-along with changes in diet-will make the biggest difference for your health. If you’re concerned that “going Paleo” will break the bank or require too much time in the kitchen preparing special foods, there’s no need to worry. In The Paleo Approach, Dr. Ballantyne provides expert tips on how to make the switch easily and economically. Complete foods lists with strategies for the day-to-day–how to stay within your food budget, where to shop for what you need, how to make the most out of your time in the kitchen, and how to eat out–will take all the guesswork out of going Paleo. Simple strategies for lifestyle adjustments, including small changes that can make a huge difference, will guide you through the most important lifestyle changes to support healing. Have a complicated condition that requires medical intervention, medication or supplements? Dr. Ballantyne also walks you through the most useful medical tests, treatments and supplements (as well as the most counterproductive) to open a dialogue with your physician to best support your healing. The Paleo Approach is available wherever books are sold. It is available on Amazon, Barnes & Noble, from independent bookstores (find one near you using Indiebound) and at Costco! If you live outside the USA, you can purchase the book from BookDepository and receive free international shipping! The Paleo Approach is also available on Kindle, iTunes, Nook and Kobo. Encyclopedic, with truly extraordinary attention to detail, Dr. Ballantyne’s book is destined to become the go-to source for anyone looking for a detailed scientifically responsible, head-to-toe understanding of autoimmunity and its relationship to diet. If you suffer from an autoimmune disease or other chronic illness of just want to understand how what you eat and do impact the health of your guy, your hormones, and your immune system, then you need this book. This book should be on your bookshelf, on your doctor’s bookshelf, and in every waiting room. Sarah has left no stone unturned and no questions unanswered when it comes to healing the enormous variety of autoimmune conditions through diet and lifestyle changes. This book has you covered with scientific explanations and practical day-to-day solutions. Autoimmune management requires a total lifestyle overhaul that can be difficult to navigate at first. Ballantyne has created a comprehensive and well-researched guide that not only will help you manage your autoimmunity but also will most likely have you feeling better than you’ve ever felt before. Author of Why Do I Still Have Thyroid Symptoms? The Paleo Approach-eating and living naturally-is the most effective treatment yet found for autoimmune disease. Sarah Ballantyne brought a scientific mind and years of work to a very personal health problem, with a happy result. Dr. Ballantyne has compiled insights from hundreds of scientific studies to form a complete program to regulate the immune system, support healing, and ultimately reverse autoimmune disease. It is beautifully illustrated and will inspire you to begin your journey back to health. Wow! 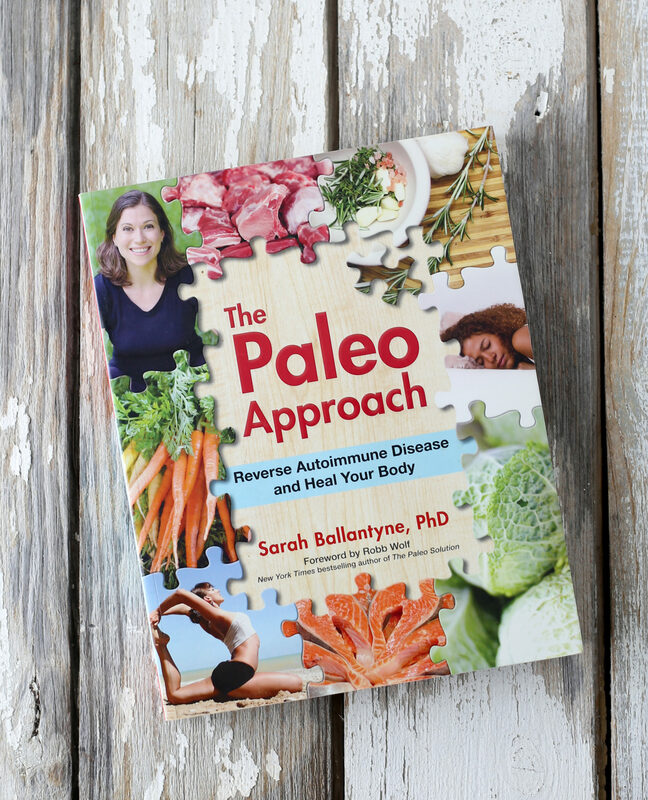 The Paleo Approach is a gem of a book that tackles the intricacies of autoimmune disease and delivers real-life solutions in the most comprehensive guide on the subject we’ve ever seen…Put this book on your must-have list!